Opened in August 2010, Fishkeeper Glasgow is the flagship store of "Fishkeeper Scotland by Maidenhead Aquatics" and is based inside Mackinnon Mills, Coatbridge to the east of Glasgow. In store we have a wide selection of freshwater and marine livestock and weekly deliveries ensure our tanks are always brimming with both commonly available and more unusual species. 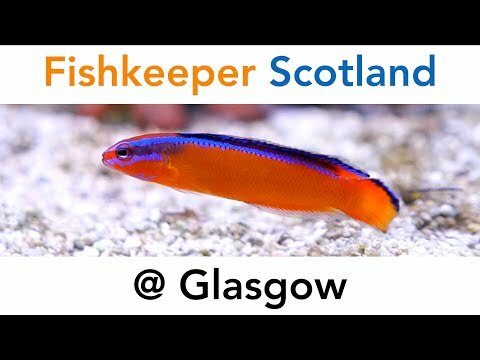 If you are a marine keeper in Scotland, Fishkeeper Glasgow should be top of your list for variety and quality of inverts with a large stockholding of LPS and SPS as well as Soft Corals. We have many suppliers that are exclusive to us and regularly visit facilities both at home and abroad to select the best stock possible for our customers. We particularly pride ourselves on our ability to source individual requests. We also have lots of special offers in store and everything from children's starter kits to our exclusive range of handsome AquaOak aquariums! We stock a wide range of pond fish and koi carp and have a large selection of associated outdoor products from top brand suppliers such as Evolution Aqua, Blagdon, Tetra, JBL, Hozelock & Laguna. Also on the site of Mackinnon Mills (which provides free on site parking) is a restaurant and two Costa Coffees, as well as a children's playground. You can bring the whole family for a day of shopping and fun! Easily accessible from the M8 & A8 from all directions. Everything for the Scottish Fishkeeper!